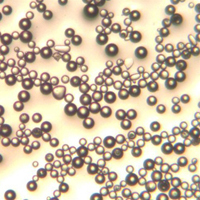 Fine Microspheres are highly spherical microparticles (better than 90% round). 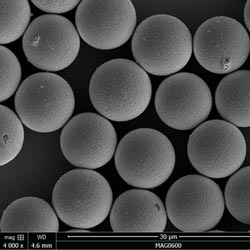 With diameters between 1micron and 10micron these particles are slightly larger than nanospheres, but on the bottom edge of microsphere particle sizes, and, therefore, in their own category. 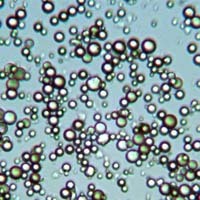 Spherical particles in diameters less than 10 micron are supplied in dry powder form and are color-stable in solution. 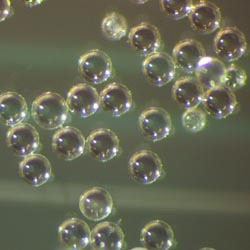 Small fluorescent microspheres have numerous applications in biotechnology, medical research, medical devices, diagnostics, process troubleshooting and other fields of study. Blue Luminescent, Ultraviolet Fluorescing Polymer Microspheres 1 - 5micron in diameter. 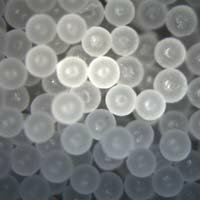 Yellow Luminescent, Ultraviolet Fluorescing Polymer Microspheres 1 - 5micron in diameter.